Deer Valley; 15% beginner, 50% intermediate, 35% advanced. Park City: 18% beginner, 44% intermediate, 38% advanced. The Canyons: 14% beginner, 44% intermediate, 42% advanced. Snowbird/Alta: 25% beginner, 47% intermediate, 38% advanced. Salt Lake City is the gateway to a richly diverse network of nearby ski areas. You can also ski Deer Valley, Park City, Snowbird and Alta - and the neighbouring resorts of Brighton and Solitude - by sampling the Interconnect, an all-day back-country tour. Park City is one of the few Utah towns established by non-mormons and is a community with an enviable portfolio of ski areas. Deer Valley has developed a reputation as one of America's most pampering ski resorts. Following remarks that it had 'lots of diamonds but not enough black ones', the resort changed its image by opening up tougher ski areas. 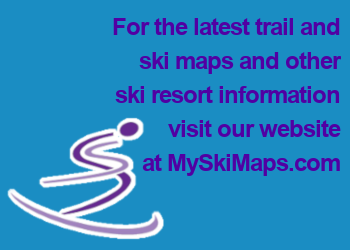 There is even a trail map for experts. Snowbird looks surprisingly like a purpose-built French ski resort. The key to 'The Bird' is it Tram, which speeds 125 skiers and boarders to Hidden Peak at 3,300m. From here, the skiing in all directions is high-octane stuff, but fortunately there is one fairly easy way down: Chip's Run which is a fairly accommodating blue. Everything else, is skiing of the gung-ho variety.